WordPress is undoubtedly the best platform there is for you to build your website or blog on. And with hundreds of thousands of plugins to choose from, you can make it even more flexible. 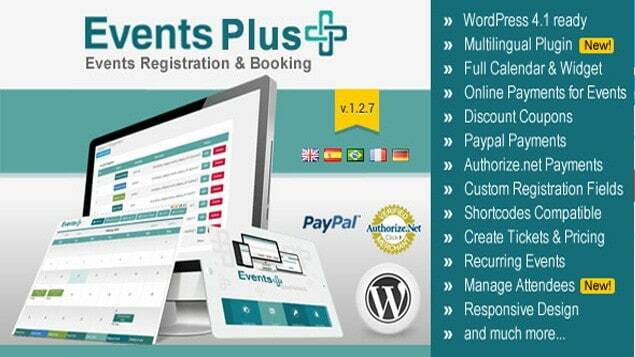 If you need a plugin that lets you easily create and manage events, then you’ve come to the right place! 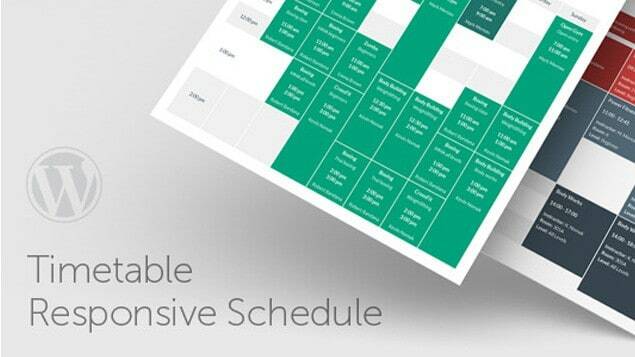 Here are 10 WordPress event calendar plugins worth considering. With just a click, you can create an event calendar, add it to your posts/pages, and share it with other people. Discover your next favorite! X Calendar is a handy premium WordPress plugin that offers a wide range of features like preset styling, 2 calendar views, event listings, cool effects, and more. You can take a quick look at the demo to see the various color schemes and calendar views on dark and light themes. 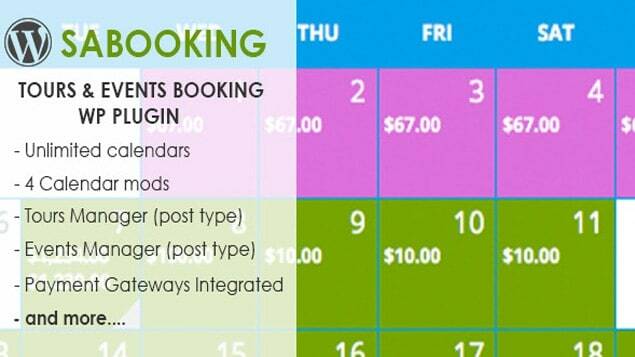 This all-in-one premium WordPress plugin is the perfect solution to real estate and holiday rental sites that need an easy way to add an availability calendar for their rental property, as well as a pricing table to show prices per duration clearly. It’s a simple plugin that lets you create an individual availability calendar and price table for each property you showcase in your site. Whether it’s created as a post, custom post type, or page, you can easily install the calendar and pricing table without limit to the amount of calendars available. 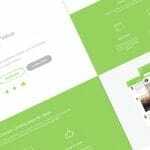 saBooking is an awesome WordPress plugin that lets you easily create a booking/reservation system into your website or blog. 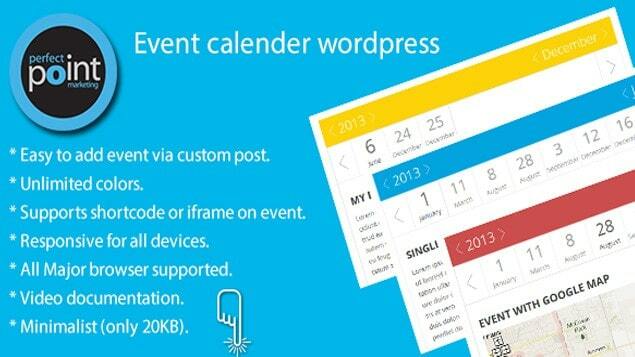 This awesome event calendar plugin for WordPress is a slick and modern event management platform that’s powered by a flexible shortcode system. It comes with a lot of features and options for easy customization. 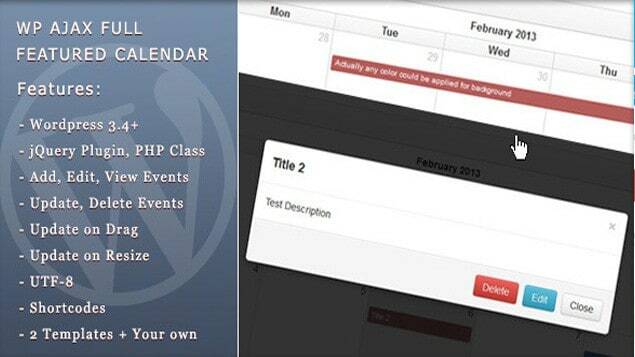 You can easily add an event calendar in your site with this plugin, complete with predefined themes. You can also include the event date, title, description, custom link, etc. The Facebook Events Calendar WordPress Plugin allows you to display events from different Facebook Pages, profiles, and groups. It uses Facebook official Graph API to display the events. This event calendar plugin for WordPress lets you display your events, congress, and organizations in any page in your site with one shortcode quickly and easily. 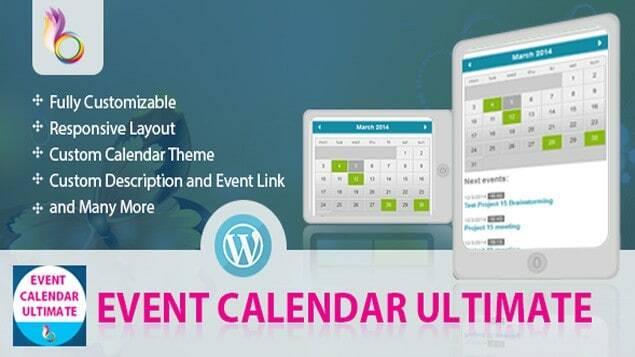 Event Calendar WordPress is a premium plugin that allows you to effectively manage your events in your WordPress website or blog. It’s simple and easy to use. This multipurpose event calendar plugin for WordPress can be used on the backend for administration and frontend to public view. On the backend, you can manage your events. 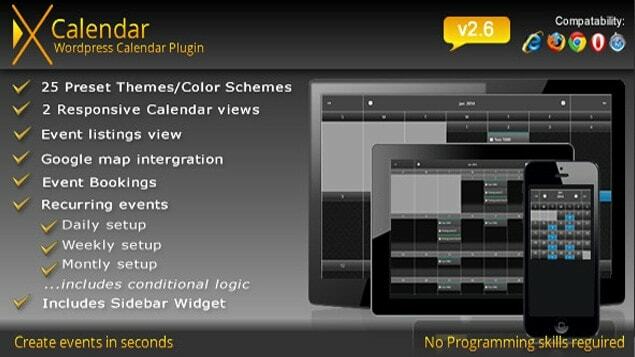 It comes packed with 2 themes: Calendar View and List Events View. What’s more, it lets you create your own theme. As the name suggests, WordPress Events Calendar Registration Booking lets you create and manage your events online through the WordPress admin. With this plugin, you can let your visitors register and pay online for events, manage attendees, discount coupons, export attendees list, and a whole lot more besides. This powerful and easy-to-use WordPress plugin allows you to create a timetable view of your events in just a matter of minutes. It’s perfect for gym classes, school/kindergarten classes, medical departments, nightclubs, lesson plans, meal plans, and more. The plugin comes with events manager, event occurrences shortcode, timetable shortcode generator, and upcoming events widget. You have shared amazing wordpress plugin I would like you to share one more WordPress plugin related to reservation- All in One Reservation. which is powerful plugin for reservation management system. It has all the necessary features and functions needed for a reservation management plugin. Just a quick note to say thanks for including our calendar in your review. Mel, thanks for your feedback. We’ll try to do better next time, with more variety in sources of plugins! Not a great review of calendars when they are all from codecanyon.. all paid… expected for..